We left the Quaggy just outside Manor Park having seen the park’s rejuvenation from one of Lewisham’s worst bits of open space to one of its best, before that Running Past had followed the Quaggy from its sources around Locksbottom; then on through Petts Wood, the Hawkwood Estate, Chislehurst and Bickley, through the golf courses of Sundridge Park and on to Chinbrook Meadows; through the concrete and countryside of Mottingham; and then on through the playing fields and parkland of Sutcliffe Park and the Lee/Blackheath borders. We left the river at an old crossing, although relatively new bridge that formed part of Hocum Pocum Lane; we continue along the Lane although it is now referred to as Weardale Road. Unusually, it is visible for a short stretch as the western side of Weardale Road remains undeveloped, in spring it is a riot of colour from the plants that have colonised the banks. The bridge is a great place for seeing the iridescent blue blur of the kingfisher – often sighted almost skimming the surface of the water, with occasional sightings of egrets and herons fishing in the shallows. 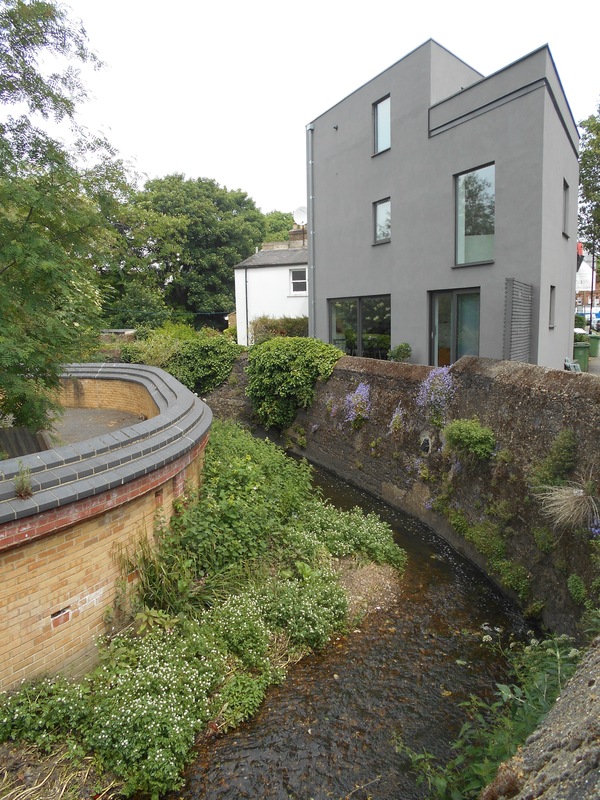 After 100 metres or so It bends sharply to the left, on the bend, in a tight triangular site, is almost certainly the finest modern building on the Quaggy – 22 Weardale Road – designed by and Anglo-Dutch architectural practice 31/44. 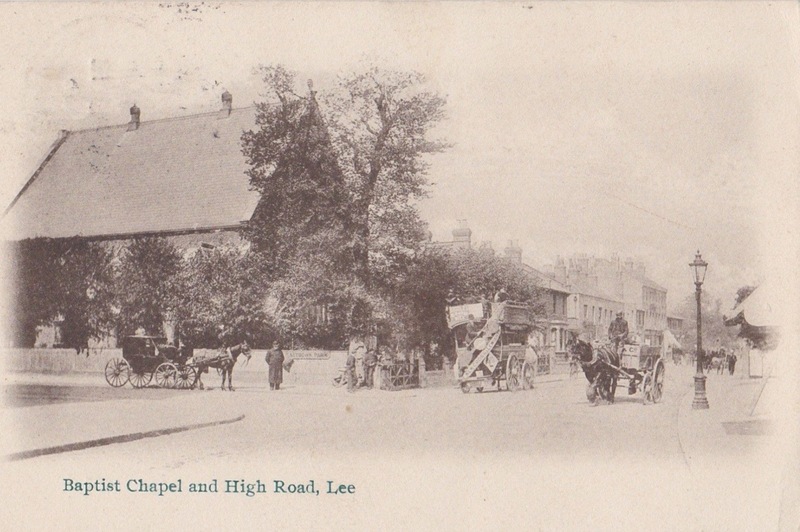 A little further on is the Rose of Lee pub, latterly called the Dirty South although it has gone through several names in the last 25 years. It opened around 1900 and, perhaps, it’s greatest claim to fame was that it was the first venue that Kate Bush played. It suffered damage and looting during the 2011 riots that spread across numerous locations in London in early August, it looked as though it was to become another lost Lewisham pub. There were occasional signs of life and a few drinkers during 2016, but it took until 2017 to have a major revamp and re-open as the Dirty South in late October 2017. 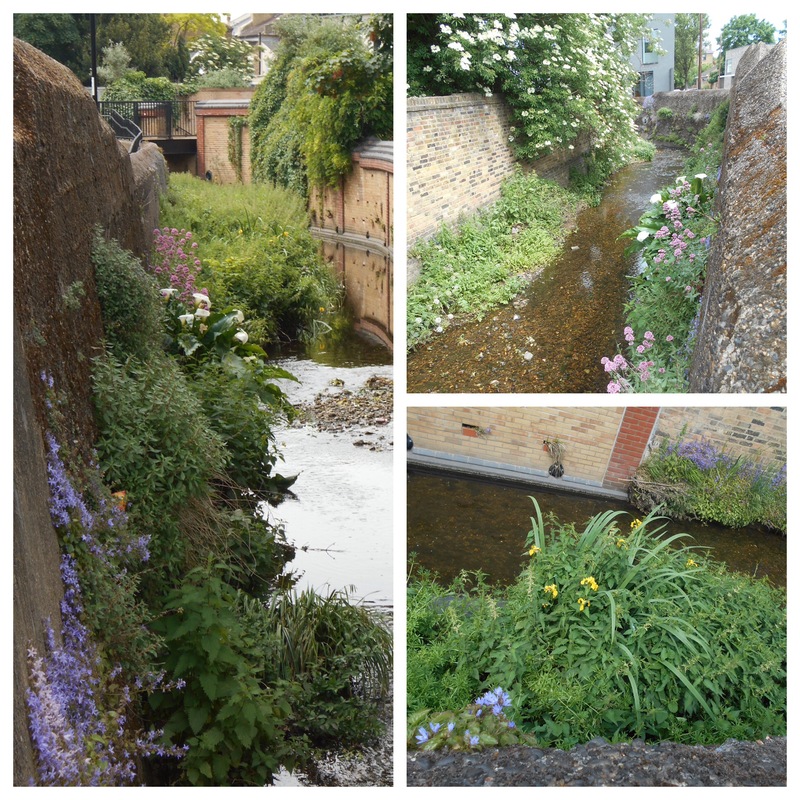 Around here the Quaggy was once joined by Mid Kid Brook which used to flow more or less alongside Lee High Road from close to Lee Green, its former valley is clear in places. However, it was diverted to follow Lee Road to Lee Green, probably around the early 18th century. The river is bridged by Eastdown Park, a bridge that was partially destroyed in a flooding in 1878 in an era when flooding seemed more common. On the west side of f the Eastdown Park bridge (to the left of the photograph) is currently Penfolds garage – the remaining part of a company that used to have three bases locally, including taking over Lee Picture Palace as a car showroom in the 1970s. The usage of the site, which used to be home to a Baptist Chapel (below – source eBay April 2016), is about to change again – this time to flats. The river follows a tight channel, built on both sides, occasionally over it – such as by KwikFit. 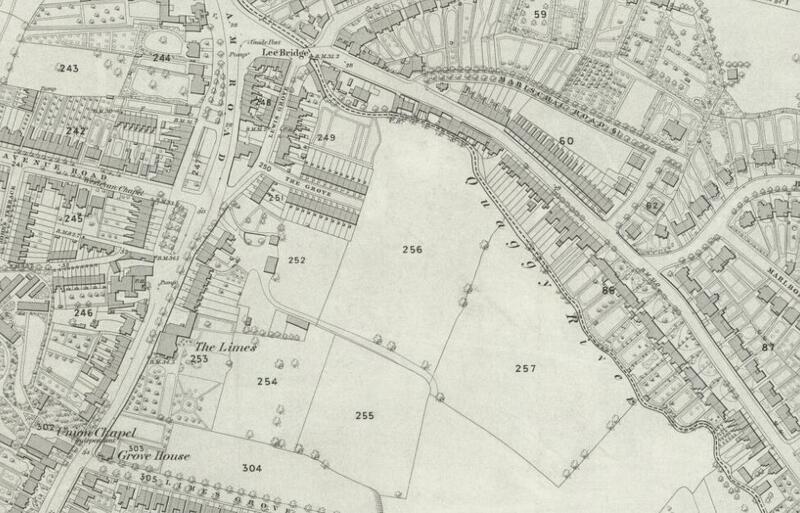 The banks had been almost rural on the south-eastern side of until the College Park Estate in the late 1860s as the map below shows (on a Creative Commons from the National Library of Scotland). 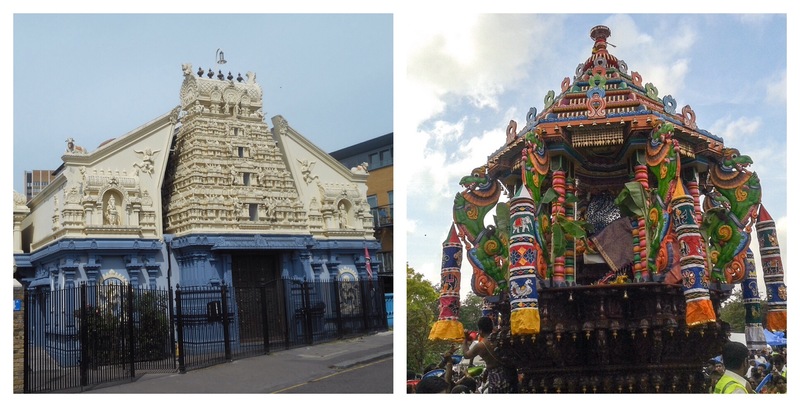 By the next bridge, over Clarendon Rise, is without a doubt the most attractive riverside building on The Quaggy, a Hindu Temple, the London Sivan Kovil. In September each year it is the venue for probably the most stunningly beautiful site in Lewisham – the Chariot Festival. Attempts continue to be made either side of the Clarendon Road bridge to slow down flows through artificial meanders, while this allows some of the normal fluvial erosion and depositions on rivers in their natural state and thus will help a little with plant growth, it will be of little use in high flows though. Soon after Clarendon Rise, just behind Lewis Grove, the Quaggy is covered at what used to be known as Lee Bridge. Like much of the area upstream this too was liable to flooding – on an earlier Facebook thread on the river further upstream there were stories of what was then the Midland Bank (postcard from eBay September 2016) flooding in and notes floating around the flooded basement of the bank. 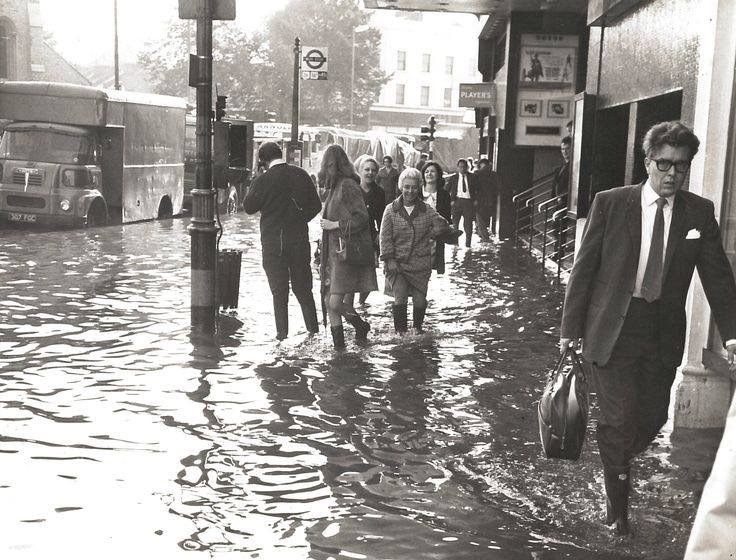 Historically, flooding was very common around Lee Bridge, this 1968 photograph, outside the Odeon (formerly Gaumont) Cinema commonly shown in relation to Lewisham flooding will probably relate to both the Quaggy and Ravensbourne though – see comments below. The extent of the covering of the Quaggy has varied over time, the recent development of the police station offered an opportunity to extend its visibility but it wasn’t taken and there is less of the Quaggy open now than there was a century ago as the postcard below shows (source – eBay February 2016). 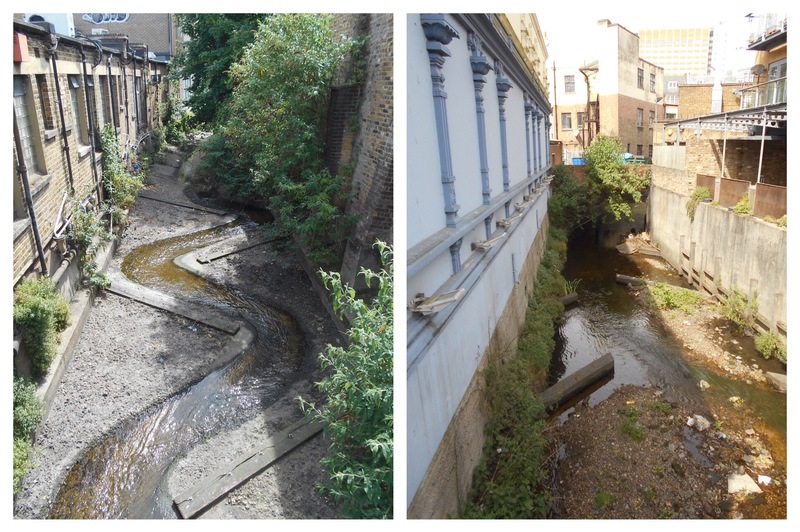 The river currently re-emerges in front of St Stephen’s church, having first been joined by Upper Kid Brook. 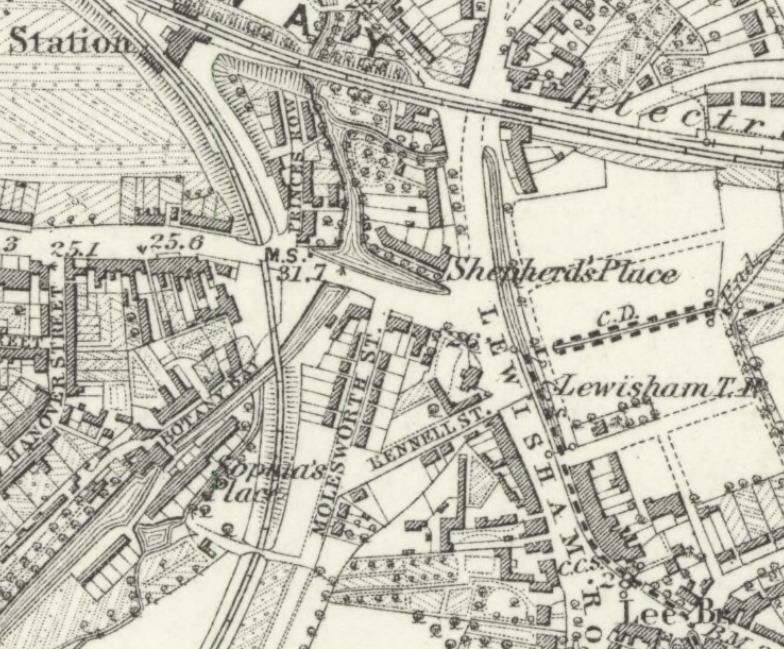 There used to be two arms to the Quaggy at this point – one by the former Roebuck pub, the second by the former Plough as the map below shows ( (Image on a Creative Commons from the National Library of Scotland). 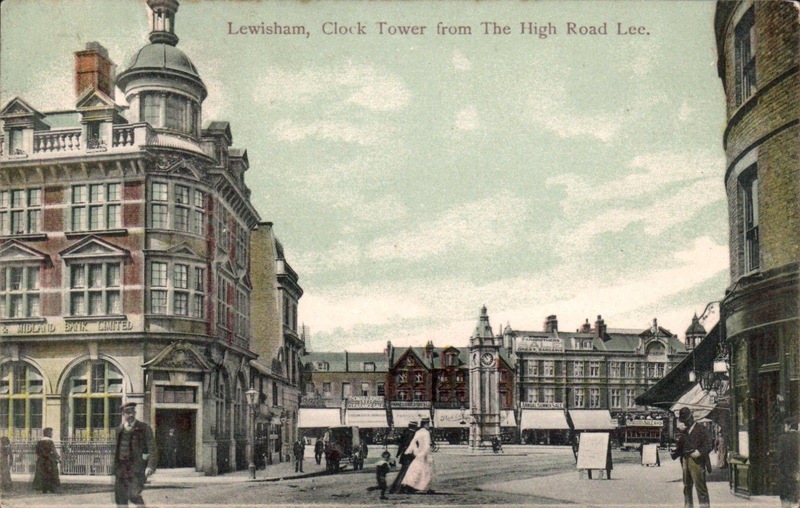 Both pubs disappeared in the early 2000s, as part of the redevelopment of Lewisham town centre. 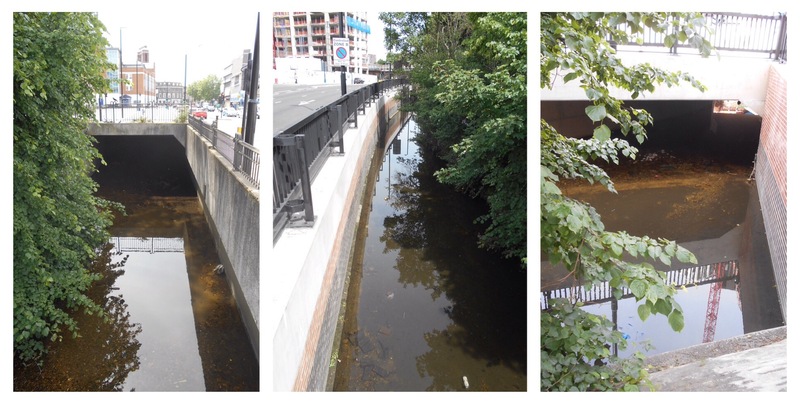 The river broadly follows the course by the former Plough Bridge (left photo above) but at the time of writing, the confluence with the Ravensbourne is hidden in the middle of the Lewisham Gateway development which has rendered the area around the station almost unrecognisable. 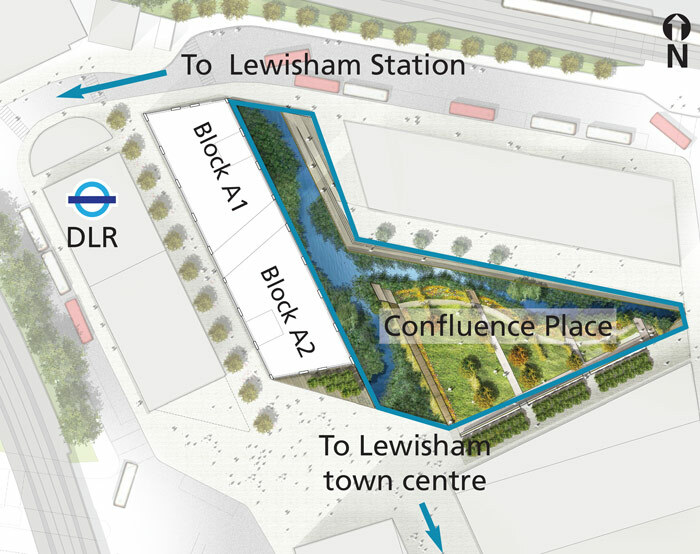 Eventually, the confluence with the Ravensbourne will be in a small park, Confluence Place, but it may be a wait until the reality is anywhere near the architect’s impression. 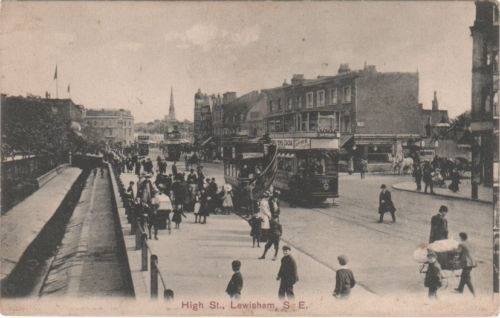 This entry was posted in Lewisham History, Rivers and tagged Hocum Pocum Lane, Lewisham, London Sivan Kovil, Manor Park, Mid Kid Brook, Plough Bridge, Quaggy, Upper Kid Brook on November 9, 2017 by Paul B.
I love all this stuff. I would correct a couple of things though. 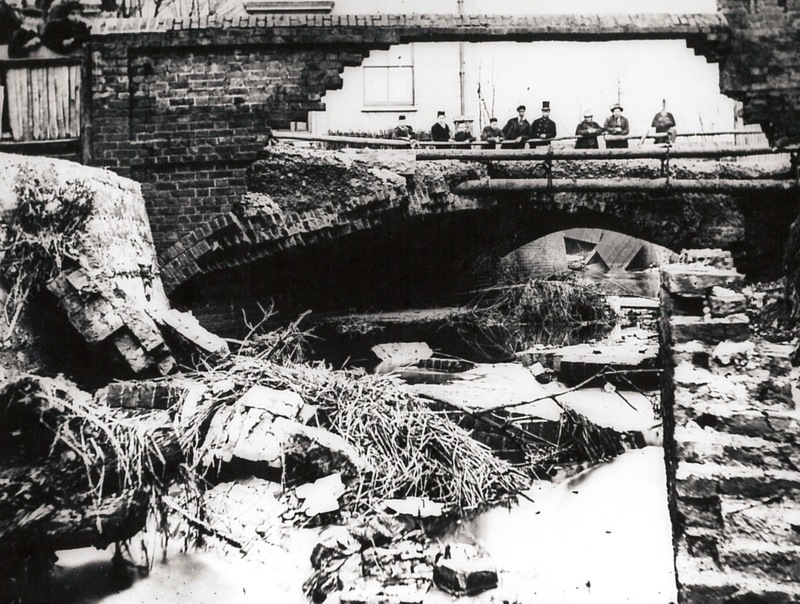 The 1968 flood was caused by a crane collapsing during a storm, over the Ravensbourne at Sundermead as the estate was being built. And I’m pretty sure the Gaumont was the Odeon by 1968. I think it was already the Odeon when I saw The Beatles there in 1963. Hi – I’m sure you’re right about the Odeon – it was renamed when the Gaumont was reopened after the very serious fire in 1961 – which for lovers of trivia broke out after a matinee showing of “The Guns of Navarone” – not sure why I remember that! Not so convinced that the flooding was “caused” by the crane collapse (which certainly did happen) as there was extensive flooding along the Ravensbourne & Quaggy that day caused by continuous very heavy rain. Thank for your comment – that was certainly my understanding of the flooding in 1968 – sometime before I moved to Lewisham. I may change that part of the post, depending on feedback from others. Thank you so much both for your kind comment and the corrections. I have included them in the post. In the Locksbottom and Farnborough area there are also streams and ponds running through Darrick wood, they go in the direction of the Quaggy, on the old OS maps there is a pond (long gone) in Starts hill road at the junction with Hilda Vale Rd, it lines up with your view of the stream by Tugmutton allotments, there is also a stream coming from Ninhams woods that runs down the A21, this disappears now at Farnborough Green at the bottom of Starts Hill Rd, it used to be open all the way along and crossed just past Cherrycot rise into and around the common by Tubbenden Lane, it ran into Worleys hole then out again and I am told once went all the way to the source of the Cray in Orpington ponds. Thanks for your comments (for those of you confused it relates to the sources of the Quaggy, there is a link at the end to a post on this.) One of the streams that you refer to it what I have called the Eastern branch. I think you are right about the link to towards the Cray, it is close to the watershed and modern OS maps suggest contours that there was a stream from the area heading towards the Cray. There are certainly streams around Darrick Wood, I do plan to revisit an include them – I make a brief mention, but didn’t allow enough time on the ground to explore.